This past Mother’s Day weekend I worked an upscale boutique Booth-a.k.a.-Nice Crafting event! It was located at the old Interlaken resort-Now-The lodge of Geneva Ridge-off Hwy 50, Lake Geneva, WI. I mention this because in the fall there will be another event during Deer Widows Weekend. For those of you outside of the midwest/western states-that’s the weekend before Thanksgiving! The event was fun and lots of guest came through. Since it was at a resort-there were over 300-400 reserved for Brunch and those that stopped in off the street. I sold a lot of "last Minute" Mother’s Day cards. Hey-At least they bought Quality and not from a Gas station rack! So enjoy some of these items I sold at the event. Sorry-I forgot to take pictures of the actual booth but have pictures before I left of the items I sold that day. This is a great basket from a big box store. I sold my Favorite Box #2 template decked out with roses for $5.00 each. They were filled with "homemade" Hershey Nuggets. Too Cute. Of course-Made with my Sizzix Big Shot. You too can own one of these awesome machines-ask me how! I have been blessed and sold 6 of these so far. Love this machine. If you live nearby-Don’t forget that I have classes. I actually have spent more on the Dies and 12X12 Cardstock and Designer Series Paper then I ever thought I would. I am using the stamps I have to deck out my projects. Awesome. 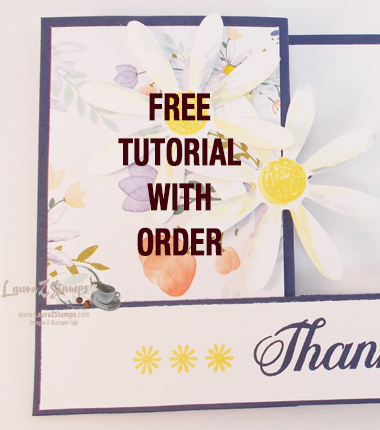 If you like to make cards or projects and yes -Scrapbooking-this Big Shot is a Huge help. I have one customer who sold her Machine that is like a bug and got this portable machine instead. The other machine bought-used 3 times in the beginning but after 6 mo. it sat-Dust collector. I have heard this from a couple of other Demonstrators as well. Ok, enough- on with the pictures….. The next item I sold- Nifty Mini Magazine holders filled with our three neat little scallop notes with envelopes (111336 for $11.95 for 30 cards. Please note-they come with Vanilla envies.). I sold these for $5.00 a pack. This was a cased idea I found on Sudsol and tweeked to make my own. The card design-mine. Of course-everything sold has the Angel stamps. What is this you ask-Contact me and I will pass all the info on so that you too can sell and be legit! Here are two more photos showing an old idea that was updated by an Awesome Demonstrator-Dawn Griffith. I sold these for $8 each. I demonstrated the New Pop-up Cake from Sizzix and had a lot of people ooh and ahhh!!! I have enclosed the photos of how it looks as you "crush"/ flatten for the mail. If you are interested in seeing this demonstrated at your workshop or your ready to get this die-Contact me today. Super Cool!